If you want your vintage wedding to be a thoroughly themed experience, it won’t be perfect until you’ve selected the perfect wedding car to get you to the venue on time. There are so many different makes and models of classic car to choose from though, so how do you pick the right one for your big day? Here’s our guide to the top choices of vintage wedding car for the most stylish celebrations. There’s nothing quite so British as a Bentley, and the MK VI was the iconic manufacturer’s first car to be produced after the war. 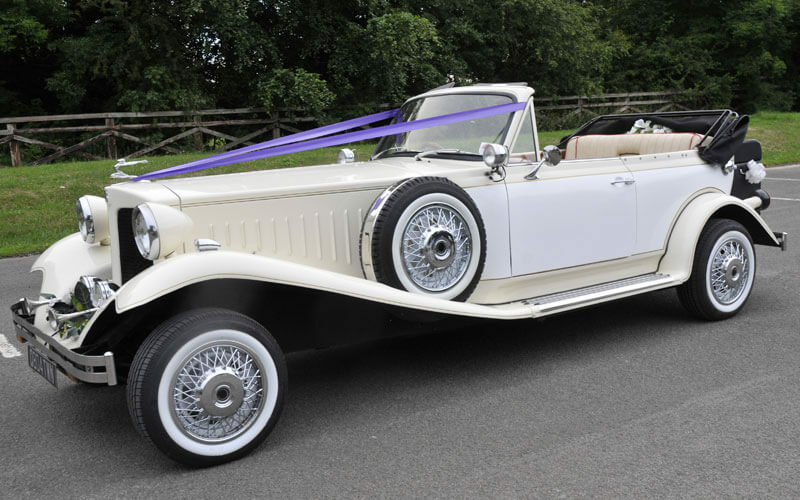 First introduced in 1946, this stunning model has become a top choice of wedding car for brides and grooms who are looking for an authentic vintage touch for their big day. With beautifully finished leather and wood interiors which have been fitted by hand and sliding sunroofs, you’ll be glad you chose this classic car. The Beauford Classic is somewhat of a misnomer since it isn’t really a true classic. Having first appeared on the scene in 1985, this model was designed to emulate the elegance and sophisticated lines of a true vintage automobile and, indeed, it passes the authenticity test. This car works perfectly for any vintage wedding, and with its traditional shape, it works especially well with a 1920s or 1930s themed occasion. The ideal choice for your 1950s themed wedding, the Silver Cloud 1 comes from the top brand in British car manufacturing – Rolls Royce. This iconic car is more than 5 metres in length, and at almost 2 metres in width, it may not be the best choice if you’ll be travelling down narrow country lanes. But if you’re looking for plenty of presence and style, this is the car for you. Its huge front grille and curving profile looks stunning and you’ll certainly turn heads on your way to the ceremony. 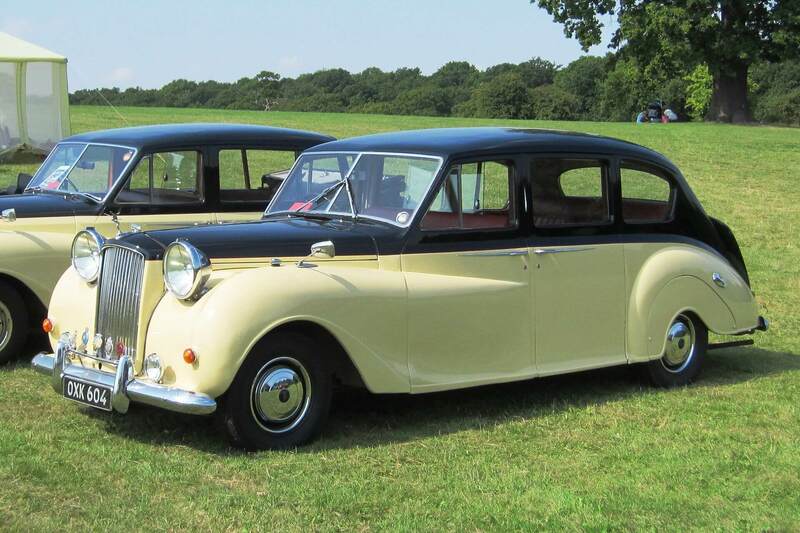 If you want to bring a royal touch to your vintage themed wedding day, the Austin Princess could be the perfect car model for you. Featuring a high spec wool, leather and walnut interior and a curvaceous and elegant exterior, this imposing vehicle has all the elegance you need to get to the church in style. 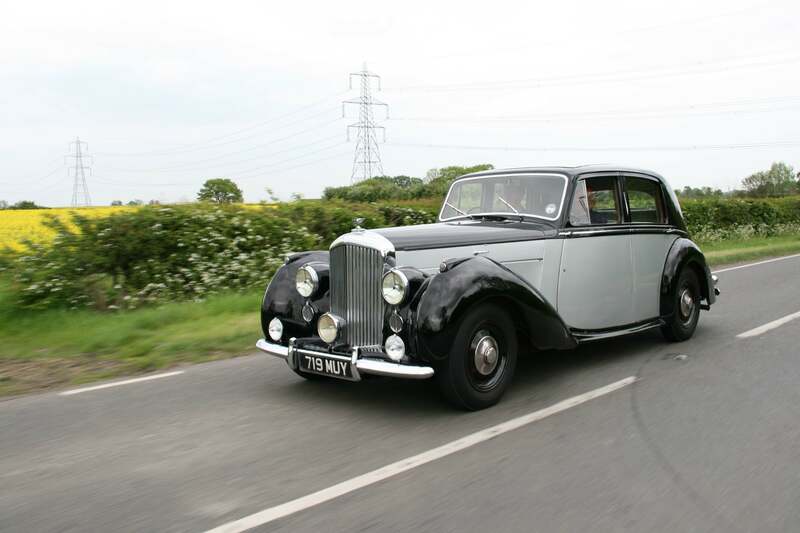 Having first been introduced to the roads in 1947, this is the ideal vehicle to complement the theming of your 1940s or 1950s inspired wedding, and if you can find the limousine model, you’ll enjoy even more luxury on your way to the reception. 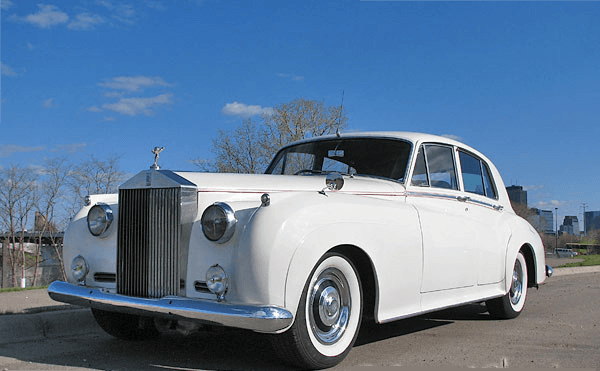 These are just four of the most popular vintage vehicle models that brides and grooms choose to hire for their big days in the UK today. Of course, there are plenty of other options depending on the style of your big day. You may even want to arrive at your venue in a classic VW camper or original 1960s Mini – the choice is entirely up to you, so be as creative as you like!